An exquisite design fashioned after the very expensive Damascus shears. This incredible cutting shear will glide through the hair with ease. Made from high quality Japanese steel that will deliver years of cutting satisfaction. 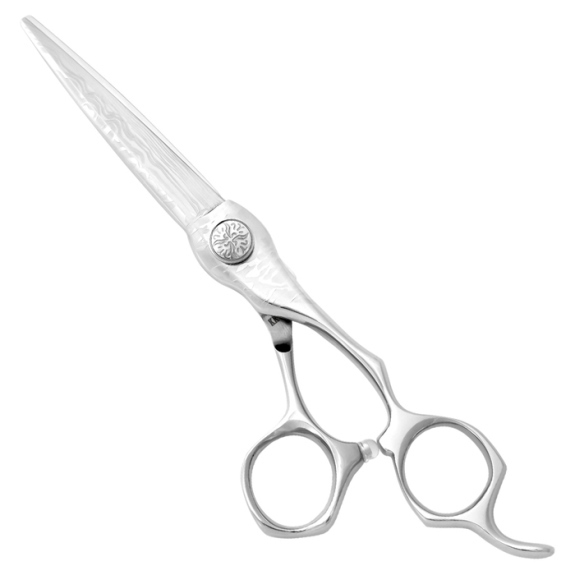 The handle is an ergonomic masterpiece that will allow for comfort in any stylist's hand. The scrolled dial is low profile to prevent hair from catching. An exceptional value for a great quality cutting tool.